Looking for a fun and easy nail design look for Halloween 2015? Check out this super easy ombre nail art look. Two polishes and a make up sponge are all you need to complete this easy gradient nail art look. If you are looking for more traditional black to orange gradient nails, take a look at this post. 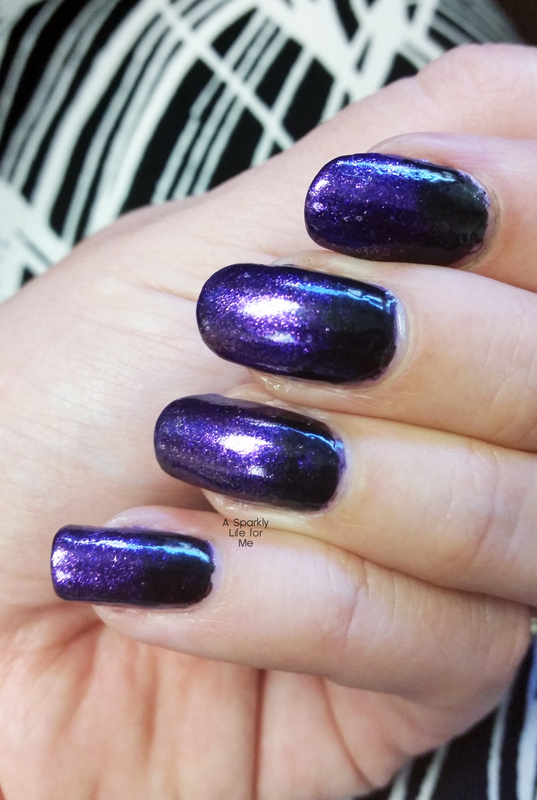 Black to purple, this is a fun and festive manicure without being overly done. It’s perfect for the girl who doesn’t want an overly ornate look, and appreciates a subtle mani.,……. Or for someone, like me, who doesn’t have all the time in the world to do my nails. And I suspect you are probably right there with me, aren’t ya? 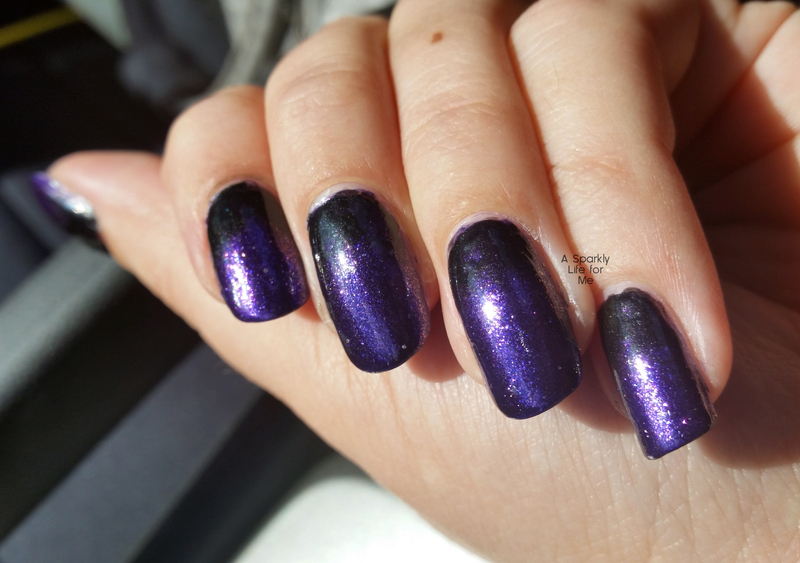 What’s on YOUR nails for Halloween 2015? Be sure to share them in the weekly link party, starting Thursday at 7pm, right here on the blog. Very simple but nice on the nails. Its perfect for a last minute Halloween look on the nails. Easy to achieve gradient look, a staple for all nail artists.